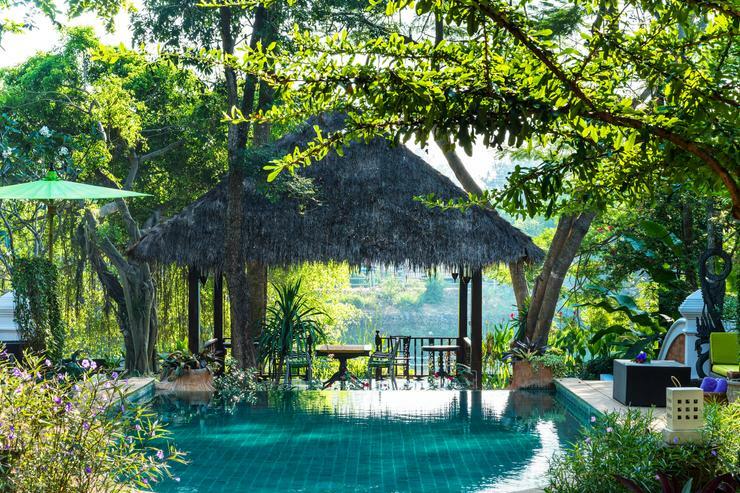 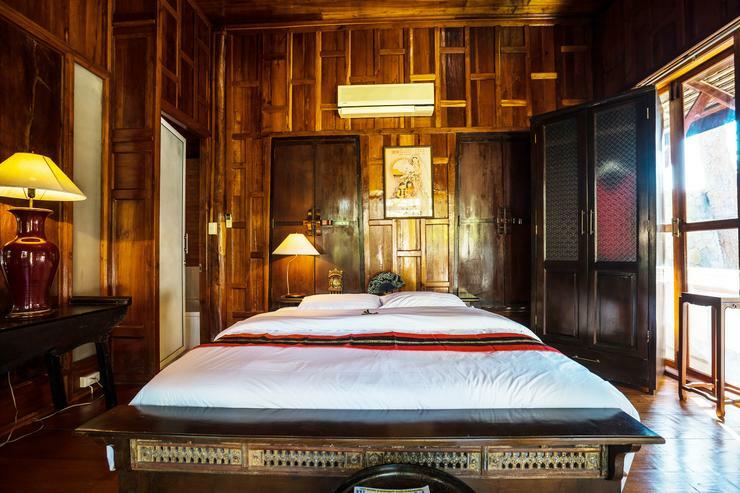 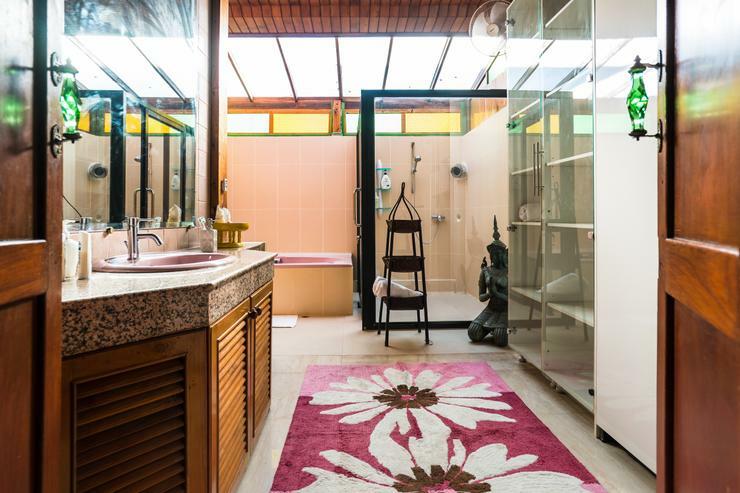 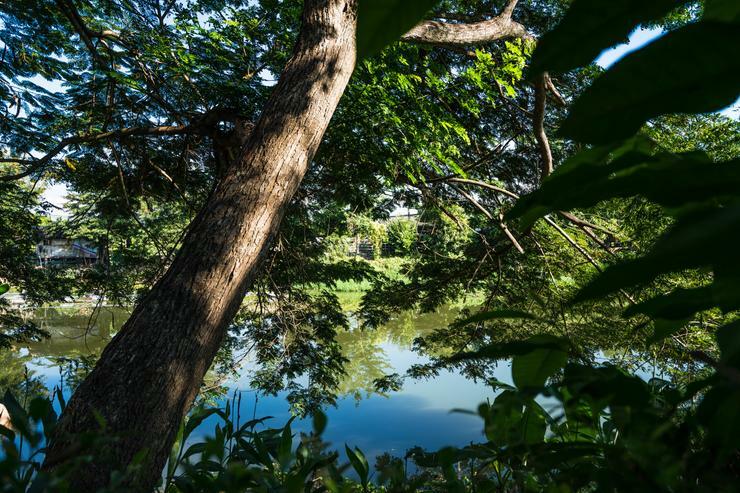 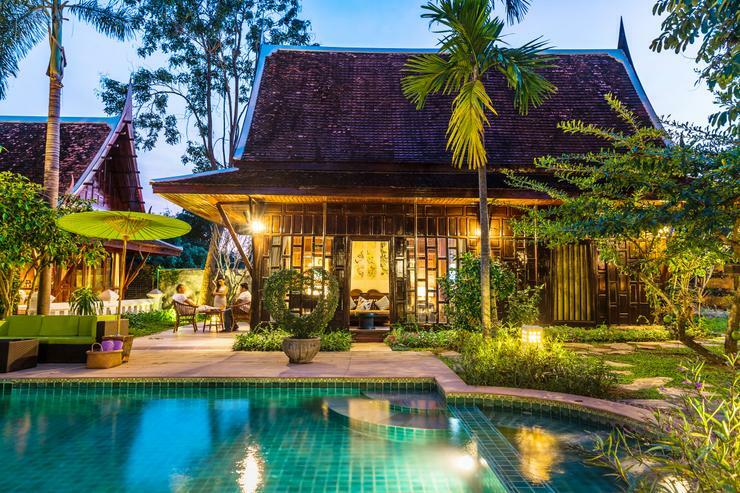 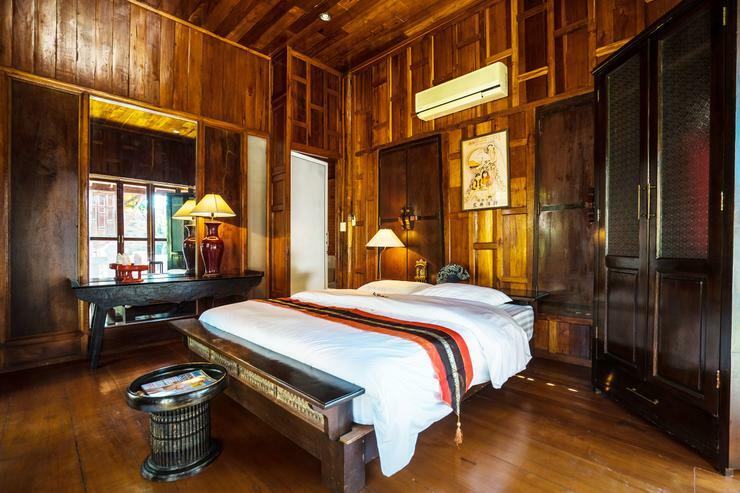 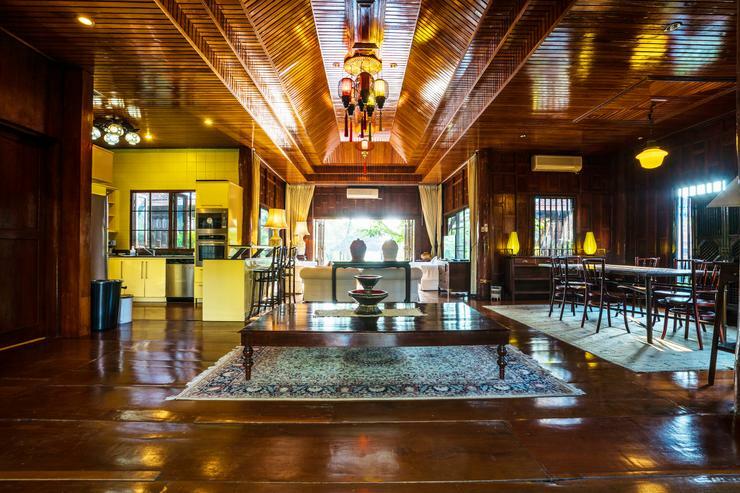 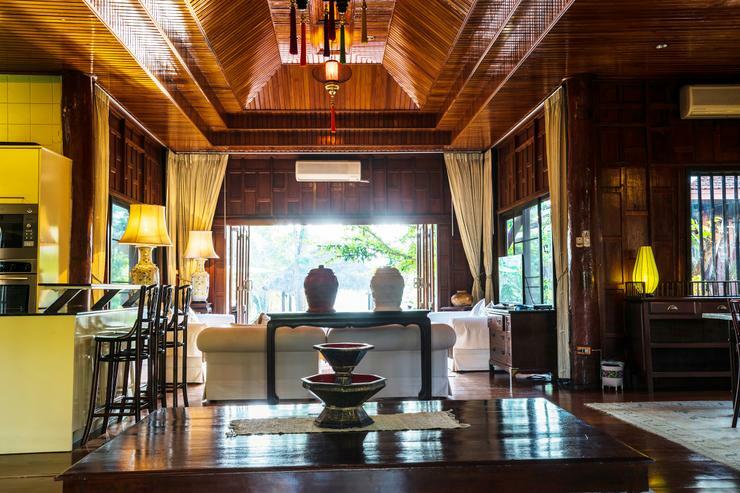 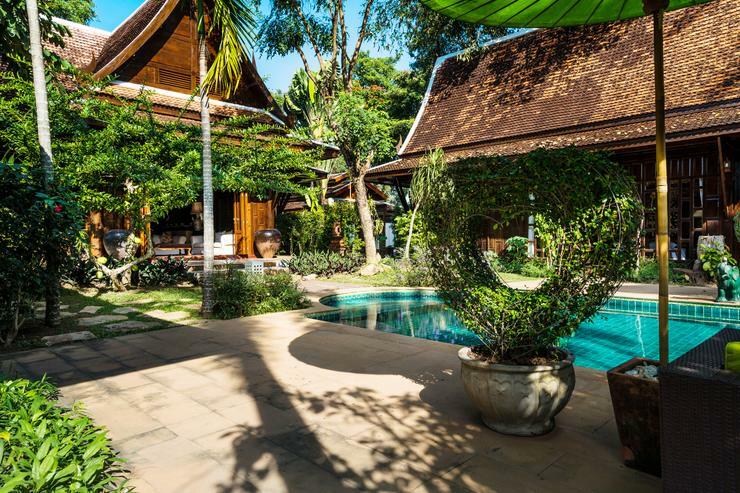 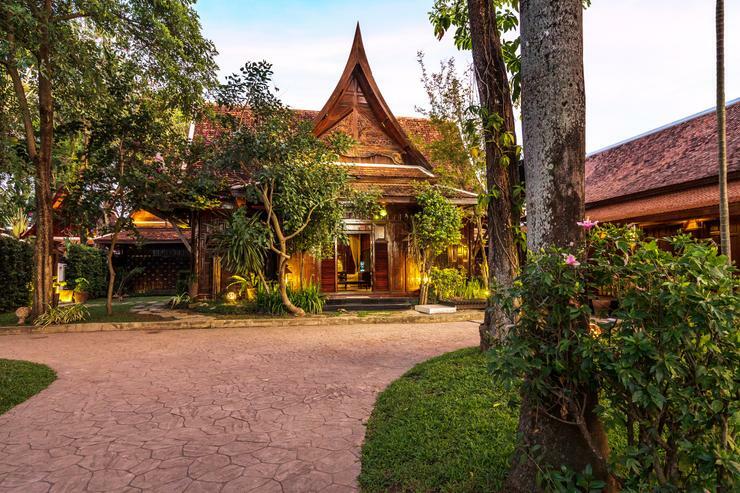 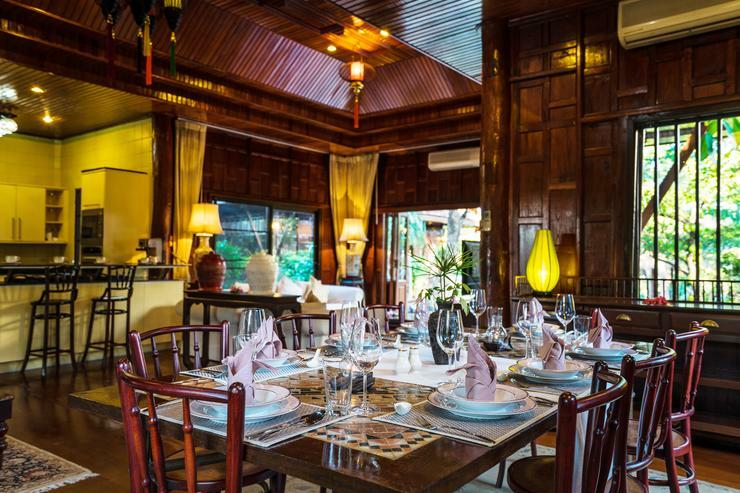 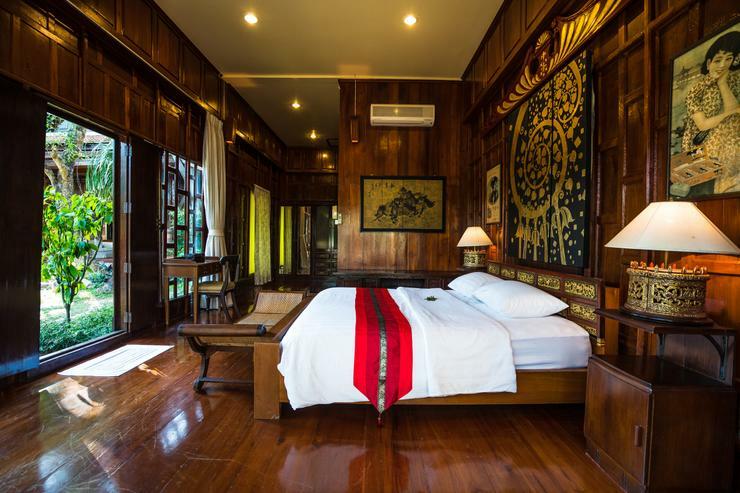 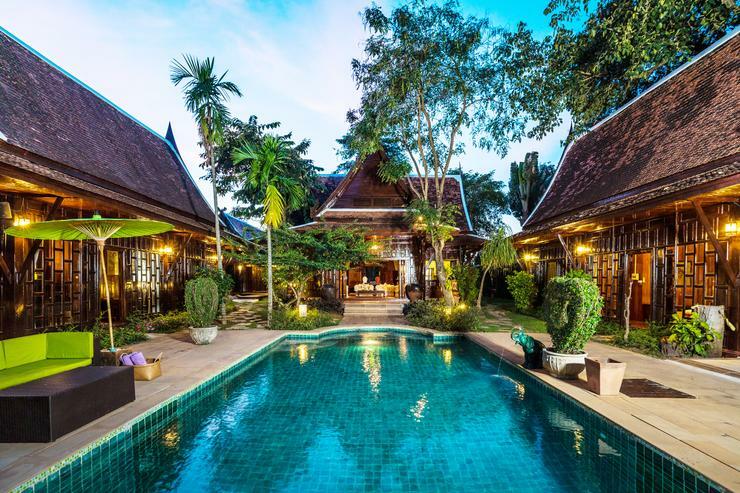 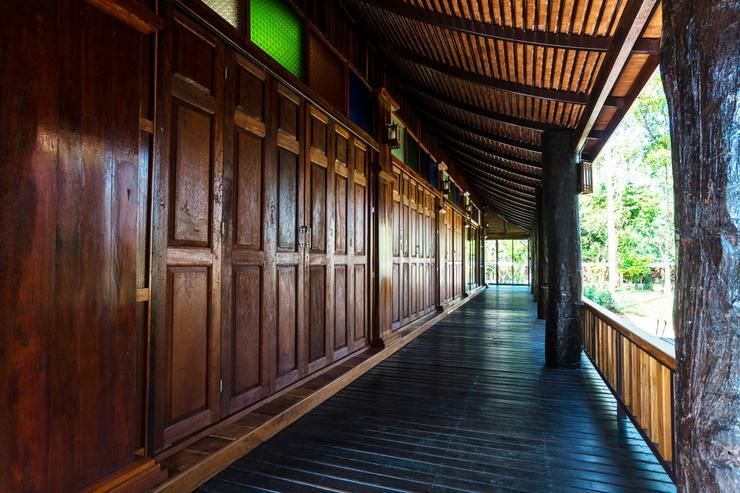 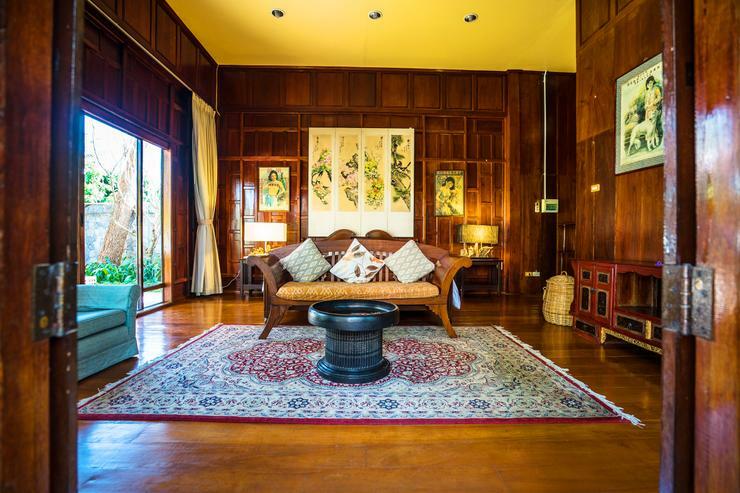 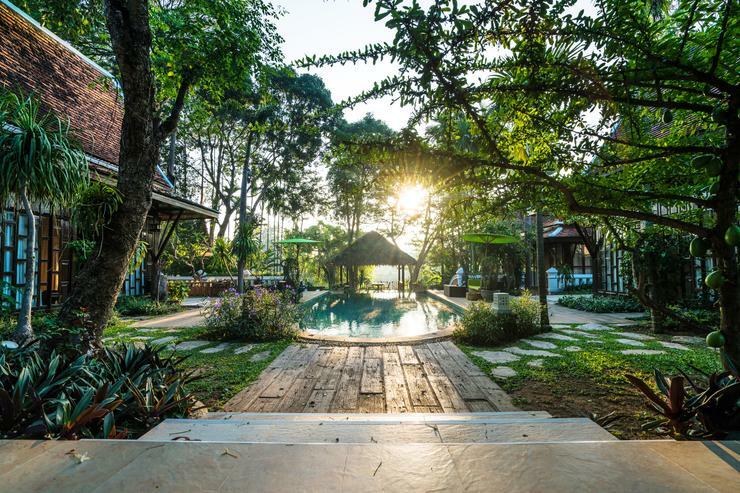 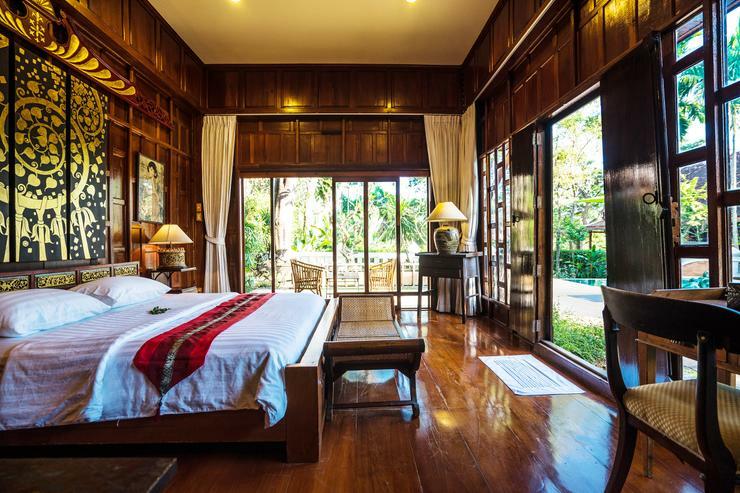 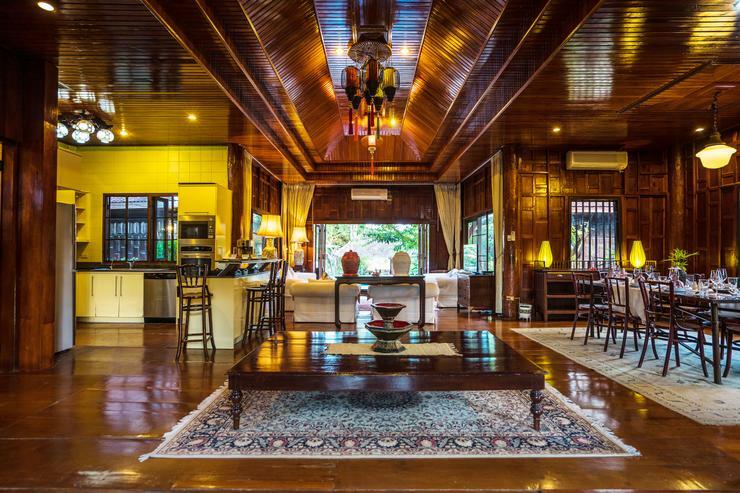 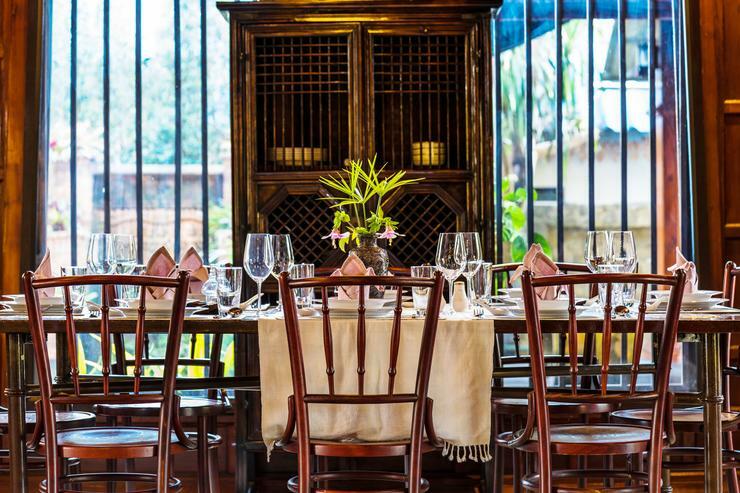 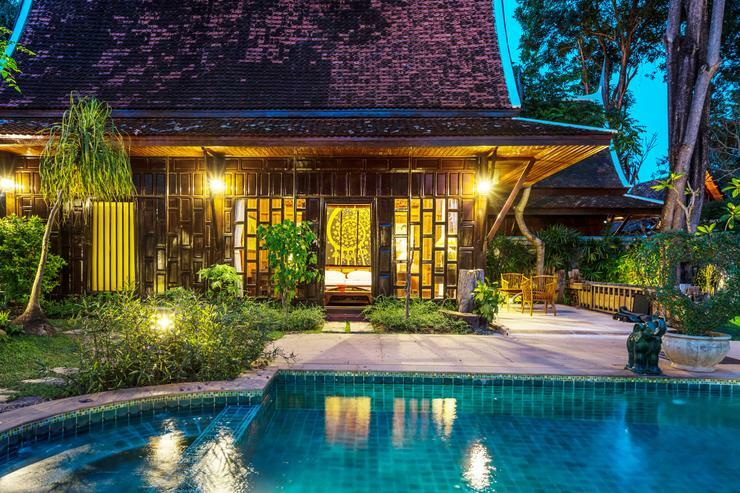 Ta Chang Villa is a Lanna-style holiday villa in the luxurious Baan Ta Chang estate, which is located in the quiet neighborhood of Hang Dong District by Mae Ping River. 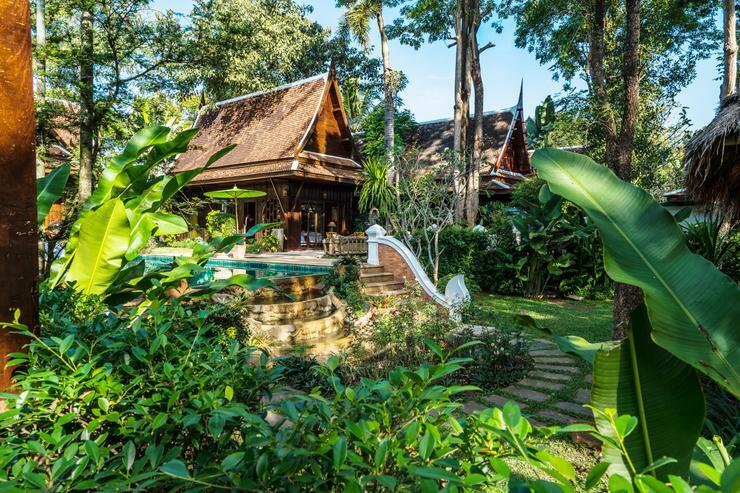 Set amidst a luxurious tropical garden, the villa gives you the chance to experience the pristine ambience of the Thai countryside. 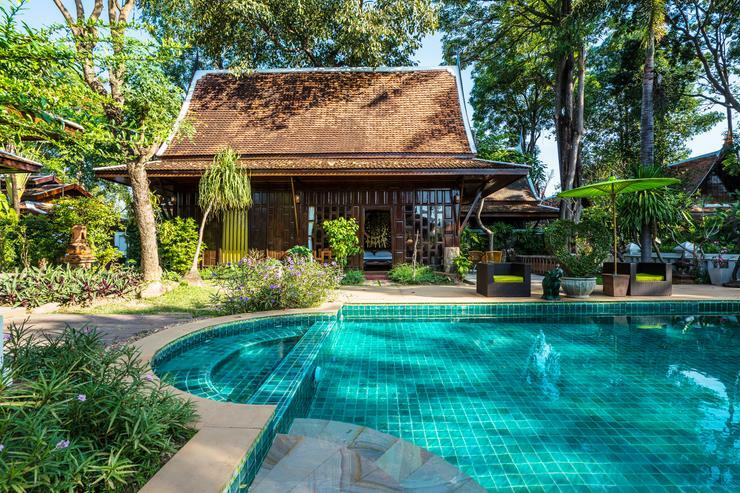 The property is about 15 to 20-minute drive from Chiang Mai International Airport, and within easy reach of the city and major travel hubs. 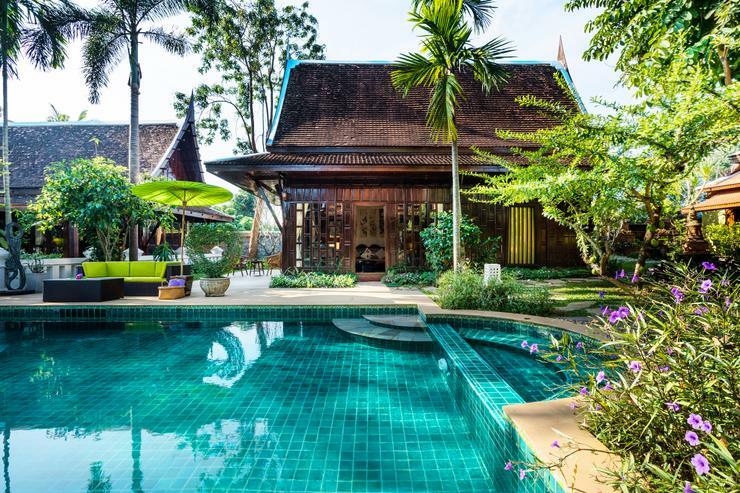 Experience true Thai comfort and hospitality in Baan Ta Chang (Ta Chang Villa), a luxurious 4 bedrooms, designed in traditional Thai Lanna style, and offering spacious bedrooms, beautiful courtyards, private swimming pool, massage room and private riverside terrace. 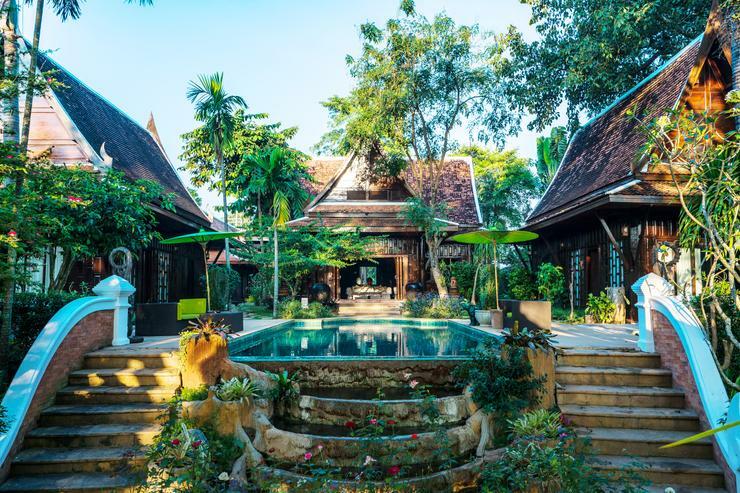 Immerse yourself in the tranquility of the Thai countryside and be indulged by the choicest cultural, gastronomical, local and wellness experiences curated to your interests and served by a team of discrete, courteous and efficient staff ready to pamper your every whim. 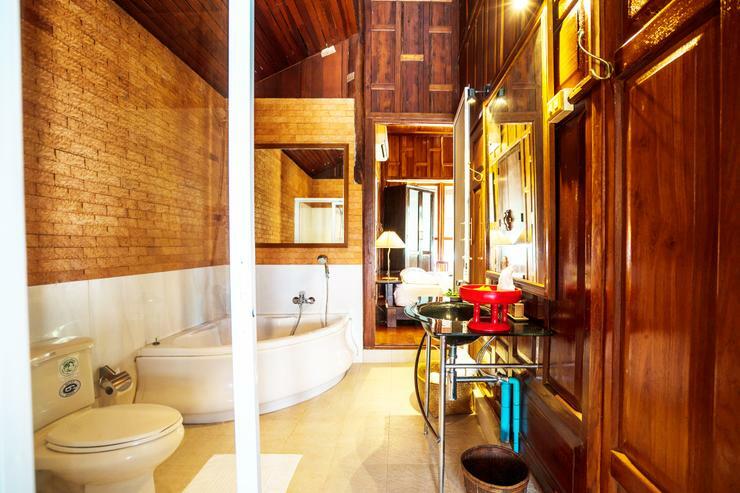 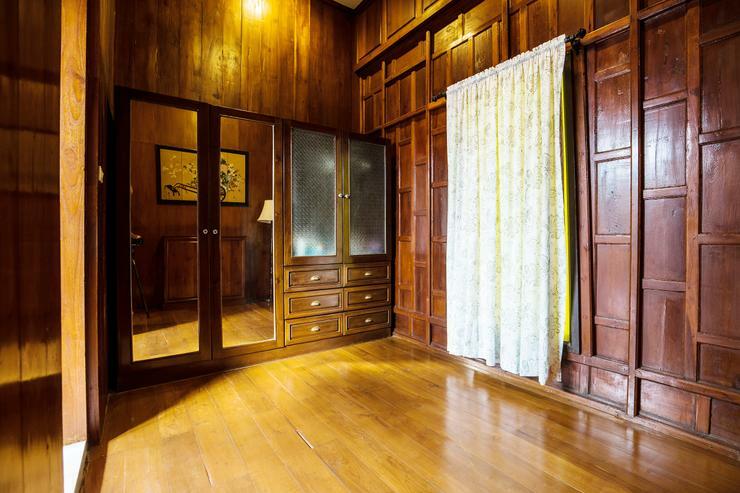 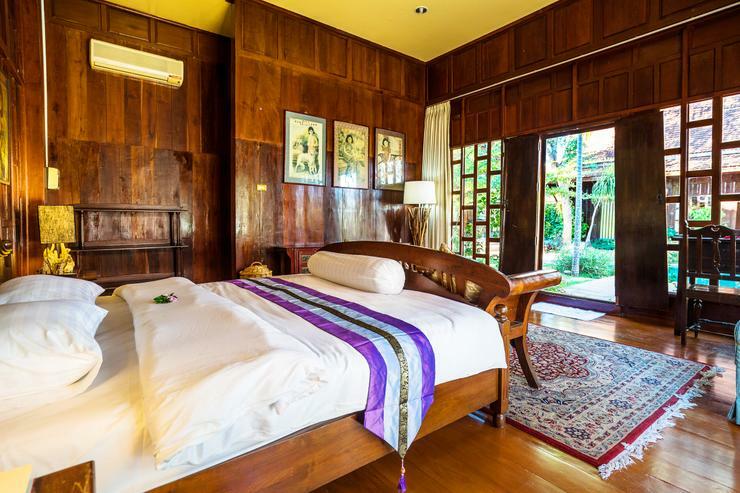 Baan Ta Chang (Ta Chang Villa) can accommodate 8 people in its two suite rooms and two interconnecting rooms. 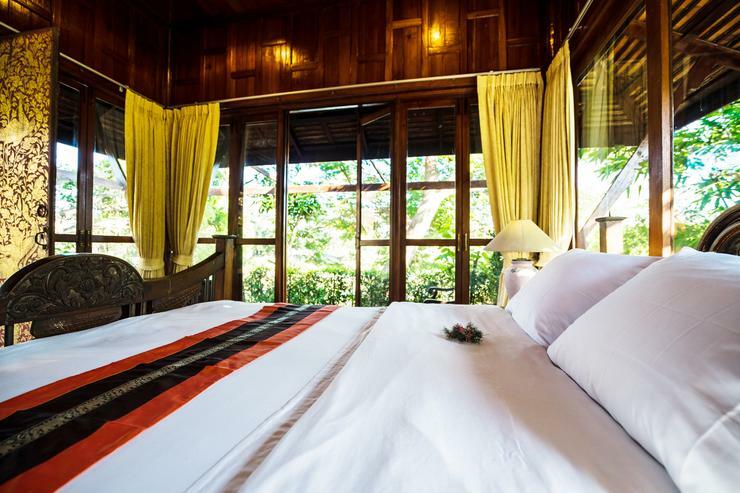 Extra beddings can also be provided to accommodate more guests. 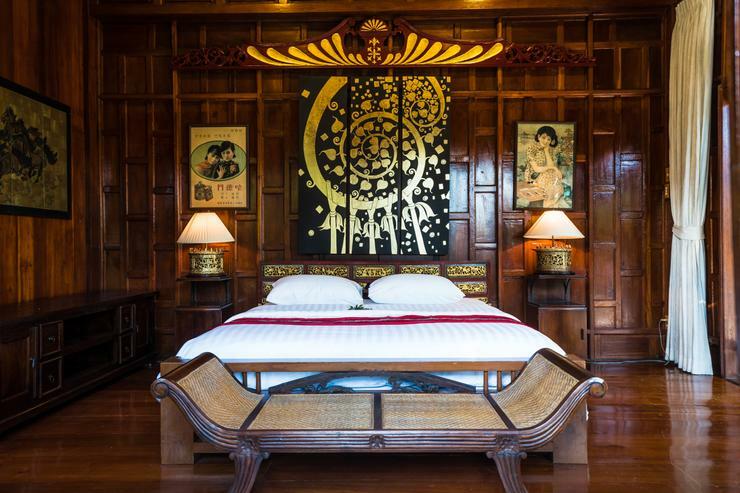 Each bedroom has a queen-size bed and different decorative detail. 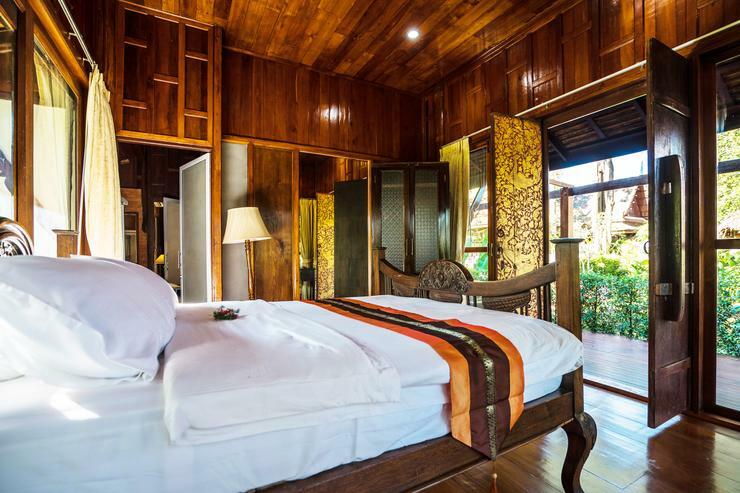 The suite rooms overlook the swimming pool whilst the interconnecting rooms have the view of both garden and river. 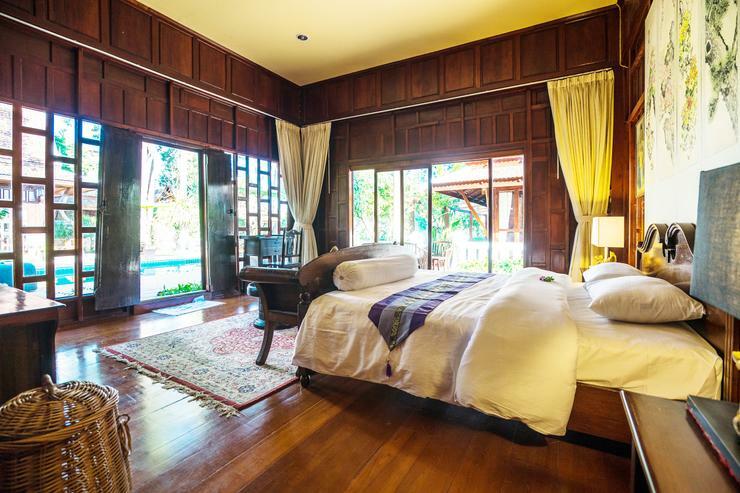 Each of the bedrooms is individually designed with traditional classic Thai style yet each is equally comfortable. 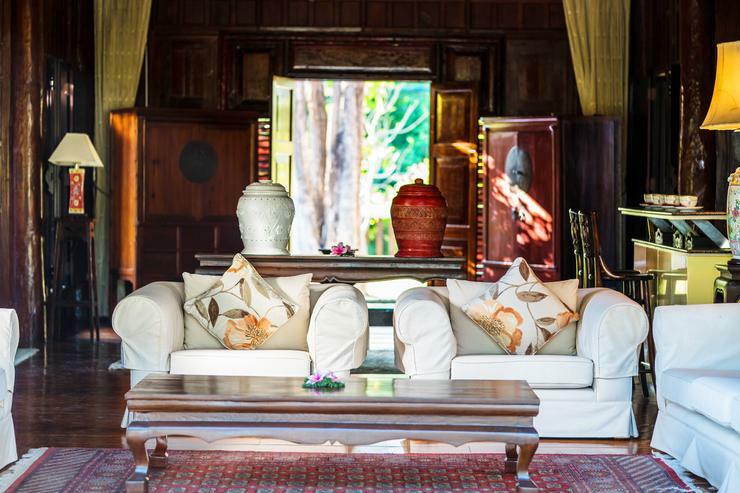 The living room of Baan Ta Chang (Ta Chang Villa) is located in the main house and overlooks the swimming pool. 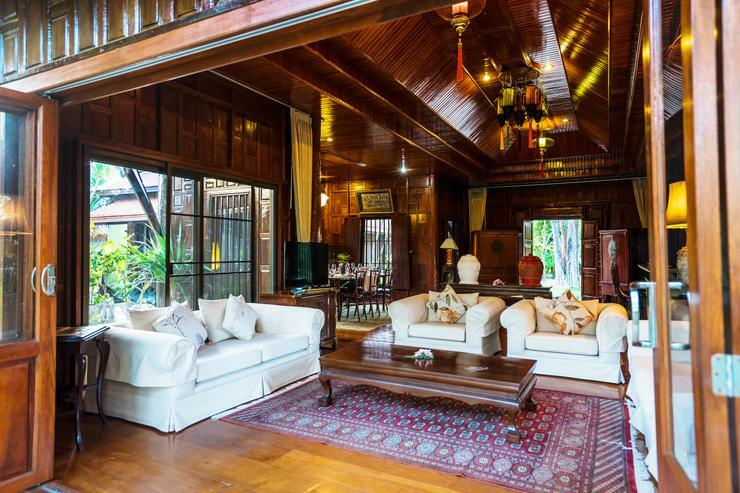 Tastefully designed with Thai ancient decors, it is fitted with an 8-seater comfortable couch with satellite cable TV and DVD player. 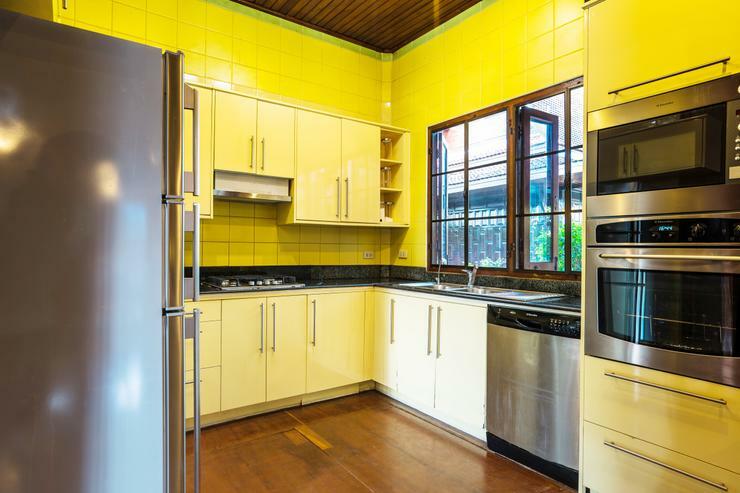 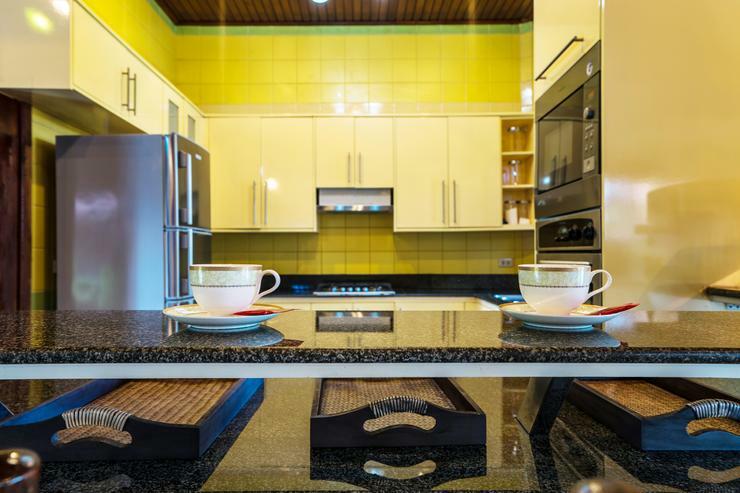 The gourmet kitchen is equipped with all modern appliances. 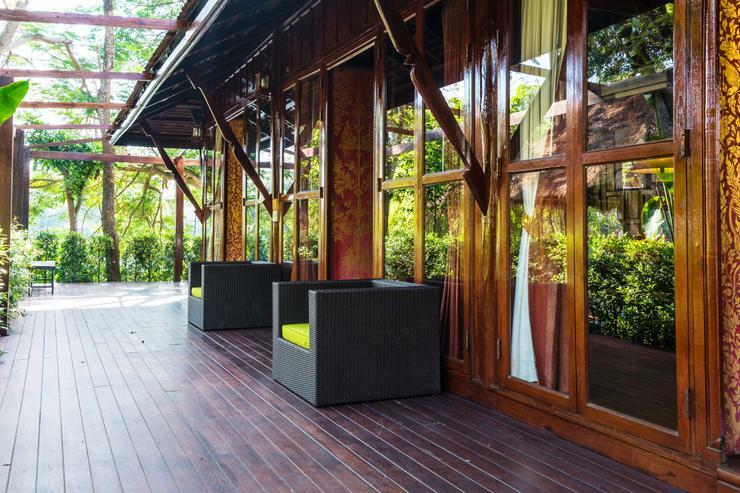 Outdoors, guests can relax in the well-maintained lush tropical garden with big trees and flowering plants. 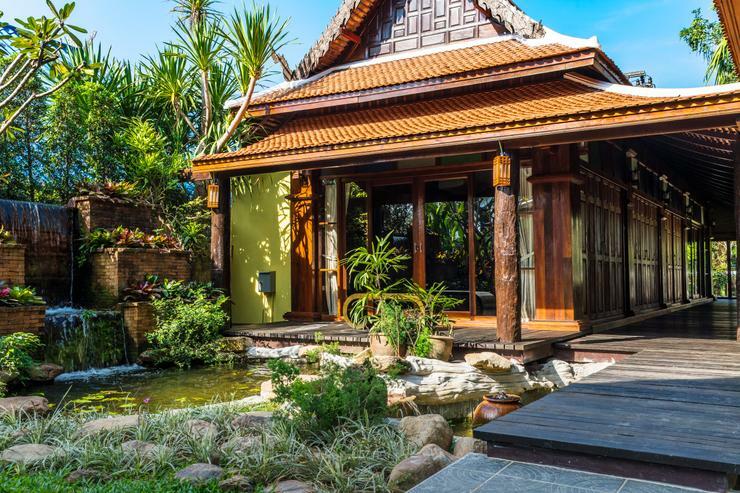 The fish pond located right next to the massage room adds tranquil and relaxing atmosphere. 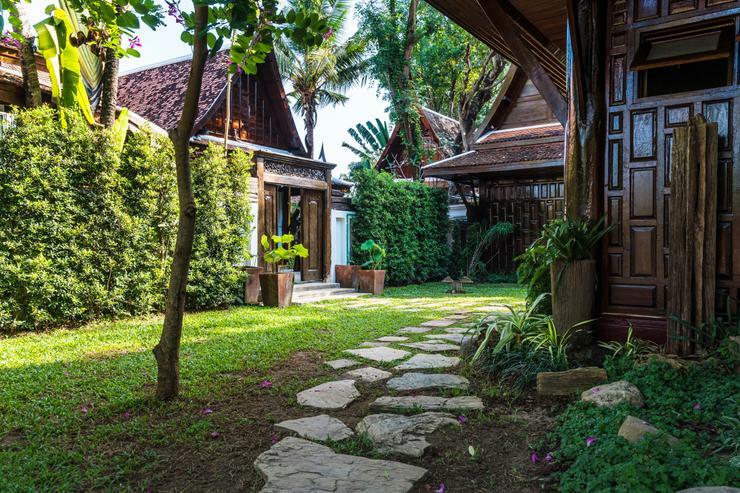 The villa has its own private entrance and parking space. 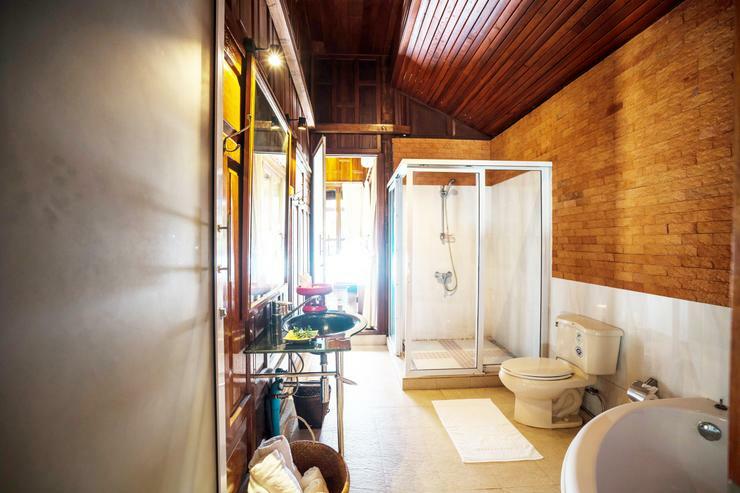 It also has an access door that connects to its twin villa, Villa Spa. 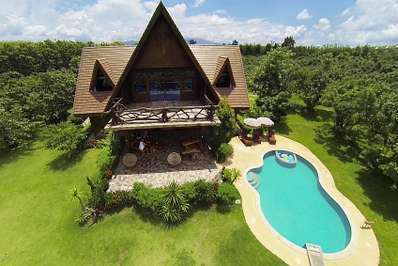 Located in Chiang Mai Province, Chiang Mai. 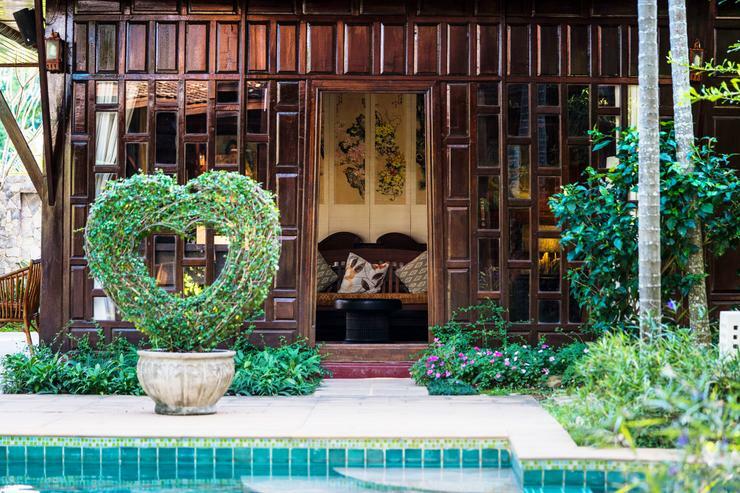 Spa Villa is a in Thailand.